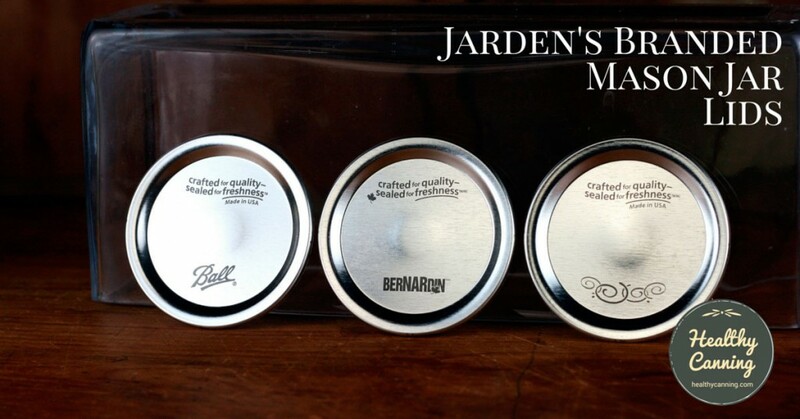 In the spring of 2017, new SureTight™ lids were released for home canning by the Jarden (Newell) company. A press release at the time said they would be sold under the Ball® and Kerr® names. The SureTight name corresponds with the ‘Sure Tight™ Band Tool that Ball released in 2012. These new lids, Ball said, would replace all their existing lids. Stocks of their existing lids would continue to be sold until they are gone, and in the future, only the SureTight branded lids would be made and sold. Sales began in May 2017. To be clear: “Current lid supplies are safe to use and will be sold until they are gone.” Blakeslee, Karen. New Ball® Sure Tight™ Lids – 2017. Kansas State Extension Service. 28 March 2017. Accessed 5 April 2017 at https://www.rrc.k-state.edu/preservation/doc/suretightlids2017.pdf So if you’ve got stockpiled lids from end of season sales, go ahead and use them up with confidence. What does this mean for Bernardin lids? 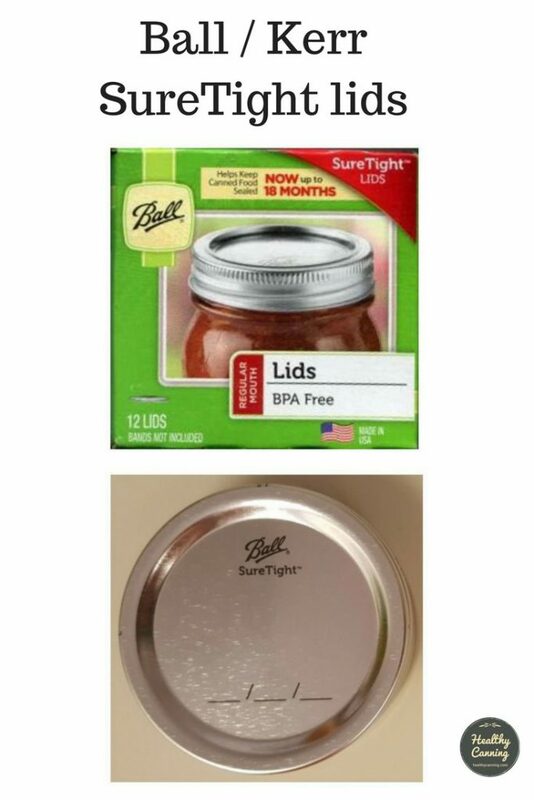 Ball said that the changed lids represented the most significant improvement in home canning lids in the past 30 years. Ed: This being 2017, we’re not quite sure what changed 30 years ago around 1987. The change from rubber to plastisol gaskets was made in 1969. Despite the doubling on the tinplate coating, Ball emphasized that consumers will not see a visual difference or feel a weight difference. 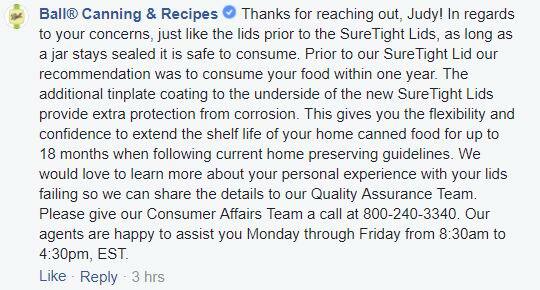 When using the new SureTight lids & following a tested/approved recipe for safe home food preservation, the new shelf life will be up to 18 months.”  Ball Canning to Randal Oulton via Facebook. 5 April 2017. Correspondence on record. This is absolutely a change for Ball. Ball had always hewed to the USDA guideline of 12 months being the “best before” date. So it would appear that Ball is now diverging from the USDA guideline on shelf life. 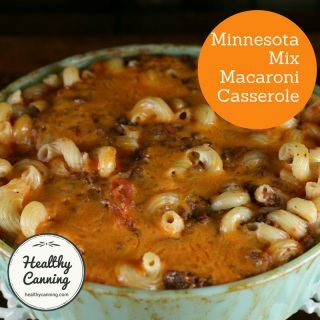 The USDA recommends that for best food quality, store home canned foods in a clean, cool, dark, dry location at a temperature between 50 and 70°F [10 to 21 C.] It is also recommended for food quality purposes that you can no more food than you will use within a year; however, there is no specific shelf life for home canned foods.” Blakeslee, Karen. New Ball® Sure Tight™ Lids – 2017. 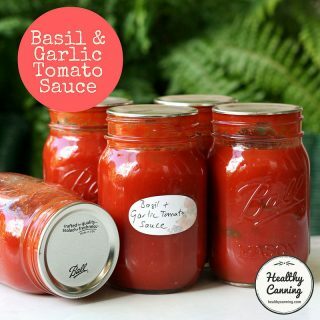 Healthy Canning has communicated with a few other USDA / extension sources on this, and though they have yet to release their responses as of time of writing, it appears that the USDA and the extension services will not be changing their shelf-life recommendations. To be clear, those recommendations are and remain: for optimum quality, try to use up your home-canned goods within a year. After that, just rotate them to the front of the shelves to make sure they get used up first and not buried behind newer stuff. They are perfectly good as long as the seal remains intact (and were processed using a tested recipe, of course.) By no means throw them out (unless your audience has decided they hated that particular item and will eat no more of it for love nor money.) You might just start to experience lessening of colour, nutrition and maybe texture as time passes — in short, the same as for store-bought canned and bottled goods! For an in-depth discussion, see: What is the shelf life of home canned goods? This is the first time that we are seeing an official firm statement in writing that unused lids are “good for up to 5 years.” Previously, the recommended “stock ahead” period for unused lids was a year ahead, or occasionally someone from Ball would admit to the possibility of 3 to 5 years shelf life before using. We recommend using the lids within a year of purchase, although you can still use them 3 to 5 years later. Jessica Piper. Video: Canning Lids 101. 6:58. ….. The lids don’t really have a shelf life per se…. whatever’s the oldest, use that first… Again, we recommend within a year, but if you have some that are 3 to 5 years, you’re going to be okay.”  Jessica Piper. Video: Canning Lids 101. 7:39. Some industry insiders have expressed surprise to us that rusting lids were a major consumer complaint needing addressing. They said that what canners did complain about was impacted gaskets from lids that shipped on top of jars. And when people did mention rusting, it wasn’t the lids, it was the screw band canning rings, which tend to start rusting after just two or three uses. There was also confusion amongst industry insiders about “ensuring the life of the seal for up to 18 months.” Ball had never before said that there was a limit to how long the seal would hold. The assumption for decades was always that the seal would hold (for decades) until the jar was deliberately opened unless the jar was damaged, or, gases from improperly processed food items destroyed the vacuum inside the jar. 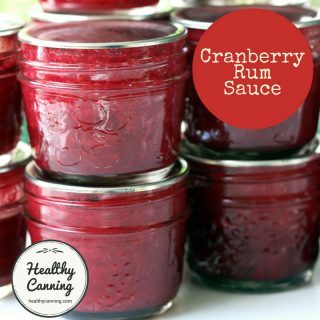 If you want to guarantee the best food safety, for everything you are putting into your jars and you are putting away for the winter that you plan to share with your family and friends and loved ones, one-time use, that’s all we can guarantee with this.”  Jessica Piper. Video: Canning Lids 101. 15: 45. We always recommend following current USDA guidelines. So, all of our recipes follow those guidelines, they’ve been thoroughly tested here in our quality labs. We know that if you follow those recipes they’re going to be safe. And because they’re safe and processed correctly, you don’t have to worry about lids coming unsealed.” Jessica Piper. Video: Canning Lids 101. 04:40. Ball had said the causes for lid seal failures were (1) using untested recipes, (2) not following recommended processing methods, (3) adjusting the screw-bands after processing, and (4) not leaving correct headspace. Can you talk about the major reasons lids may come unsealed after processing? Sure! 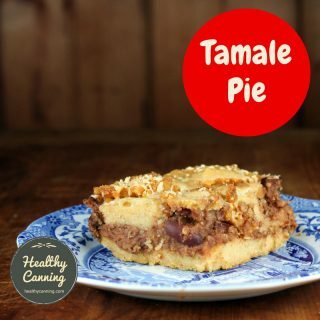 The number one reason why lids come unsealed, based on the calls and everything that we get into our consumer affairs department, is when someone is using a personalized recipe, something that is your own, it’s not been tested…. [Not] following a tested recipe including the proper processing is the number one reason why lids come unsealed. Lids can also come unsealed if after you remove them from your canner… and notice your band is a little loose and you go, oh I’ll just tighten it a little bit…. Also too head space can cause things to unseal.” Jessica Piper. Video: Canning Lids 101. 25:34. Presumably, all these causes of seal-failures are still valid concerns, despite the double tin-plating. There was confusion at first in various press releases as to whether the spelling was Sure Tight (with a space) or SureTight (no space) but it’s the no-space version of SureTight that has been printed on boxes and on the lids themselves. Note that Ball’s jar lid tightening tool named “Sure Tight” does have a space in the name: Sure Tight Band Tool. The biggest non-secret in the room over the years has been that Ball, Bernardin and Kerr lids are the same; they are just stamped with different branding on them. They are presumably made in the same factory. Newell’s (formerly Jarden) three branded lids, L to R: Ball, Bernardin, Kerr. Presumably, then, Bernardin lids would get the same “upgrade” as for the Ball and Kerr lids. That raises some questions though, that we’ll have to dig for the answers on and get back to you. 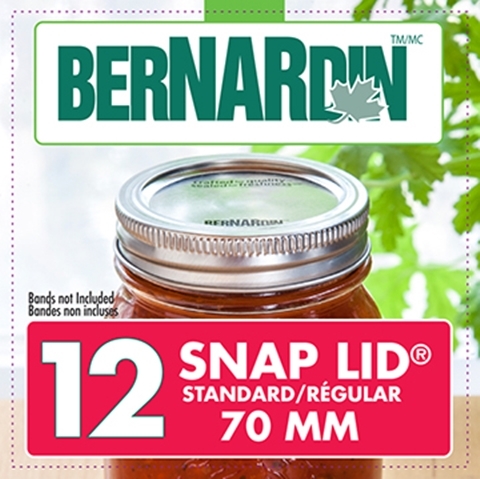 Bernardin already has a decades old “slogan” for its lids: “Snap Lid” (presumably to describe the sealing “ping”.) Would they give that up for the SureTight moniker instead? 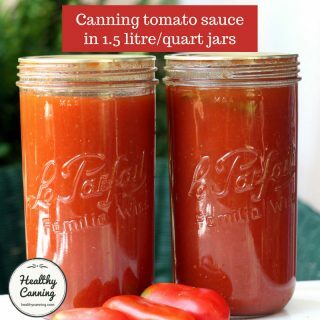 What would cause a canning jar to lose its seal? 2. ↑ Ed: This being 2017, we’re not quite sure what changed 30 years ago around 1987. The change from rubber to plastisol gaskets was made in 1969. 6. ↑ Ball Canning to Randal Oulton via Facebook. 5 April 2017. Correspondence on record. 8. ↑ Blakeslee, Karen. New Ball® Sure Tight™ Lids – 2017. 9. ↑ Jessica Piper. Video: Canning Lids 101. 6:58. 10. ↑ Jessica Piper. Video: Canning Lids 101. 7:39. 11. ↑ Jessica Piper. Video: Canning Lids 101. 15: 45. 13. ↑ Jessica Piper. Video: Canning Lids 101. 04:40. 14. ↑ Jessica Piper. Video: Canning Lids 101. 25:34. Just canned 10 pints of stew meat with all new lids and rings just bought from wally world Sure Tight and they did seal but it took 46 min from the time they came out of the canner to pop and seal. I used the Sure Tight lids this year and haven’t had any seal issues. They do feel lighter in weight, sound more tinny, and sometimes the rubber seal is weird and on other parts where it shouldn’t be. Don’t like the newer lids. Please contact me with answer. Hi Richard, you need to contact Ball directly. You can do that via their Facebook page. Search in Facebook for Ball Canning. Or, to phone or email them, go to their website freshpreserving.com and look for the contact link. Good luck! Where are these lids being made? I’m having sealing problems too. Perhaps they are no longer made in the USA. If so we should know and it should be printed on the box just where they are made. Ball says they are made in the USA. I notice new jars lids hAve imprint on them. I canned low acids foods lids did not stay sealed. Bought new lids redid them they sealed. Now I throw lids that come with jars out. Why not sell lids separate from jars. Ditto – not sealing. Following Ball recipes to a T, and never had this issue before. Tons of work wasted. I have noticed that when I unpackage a new case of jars, the seals already have the imprint from the jar from the production. Does this make the seals useless since they’re only supposed to be used once? I have made two dozen jars of jam and have processes it twice with different lids. They are not sealing. I have made a batch using lids from last year and they all sealed. Now I have all these lids that are no the working. Why do you change things that have worked for years. Now what do I do? I have two dozen jars of jam that are not sealed. It’s get very expensive canning and then have in to re can everything. Then they don’t seal again. Help!!!! Hi Sharon, you must be ready to pull your hair out! i ran out of jars and lids and purchase new-ones that say 18 month after canning my first case….The next morning as i was removing rings …THEY WHERE BLACK AND LOOK RUSTY……wHY did you mess with something that didnt need fixing i have had stuff that was 5 years old and still using nothing looks like this new product …i have purchase my yearly supply and NOW IM I HAVE A A BUNCH OF WORTHLESS CANNING LIDS AND JARS…..